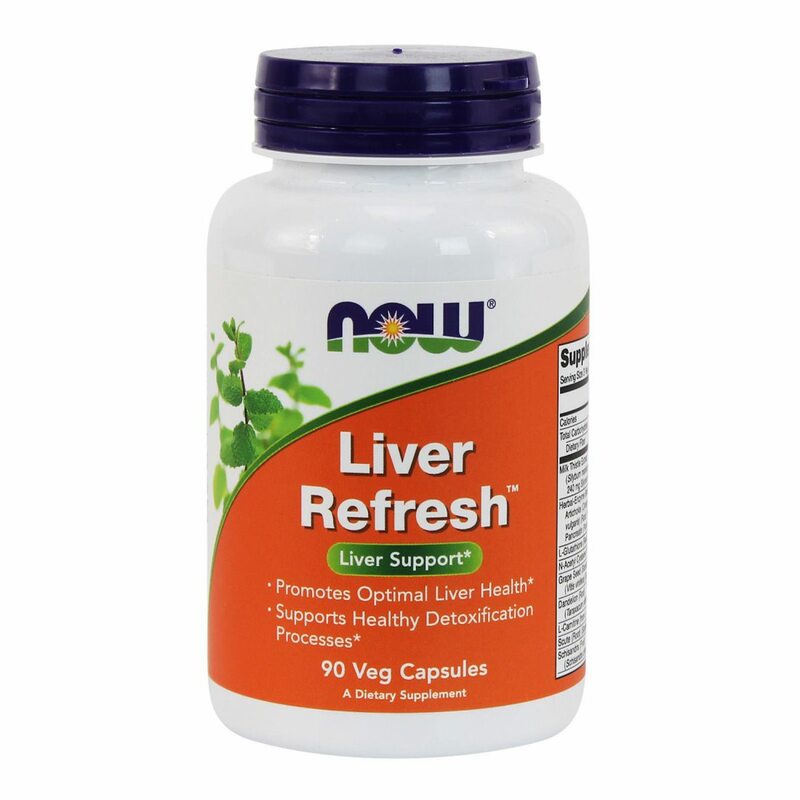 NOW Liver Detoxifier & Regenerator 90 Caps, Liver Support, Clinically Developed Total Count: 90 Each MSRP: $ 23.99 Condition: New Manufactured: USA SKU: 3002448 Clinically Developed Comprehensive Formula A Dietary Supplement Track Page Views With Auctiva s FREE Counter Description The liver is the central organ of the body s detoxification processes and Liver Detoxifier & Regenerator is a combination of herbs and nutrients designed to support the liver s role in these processes. 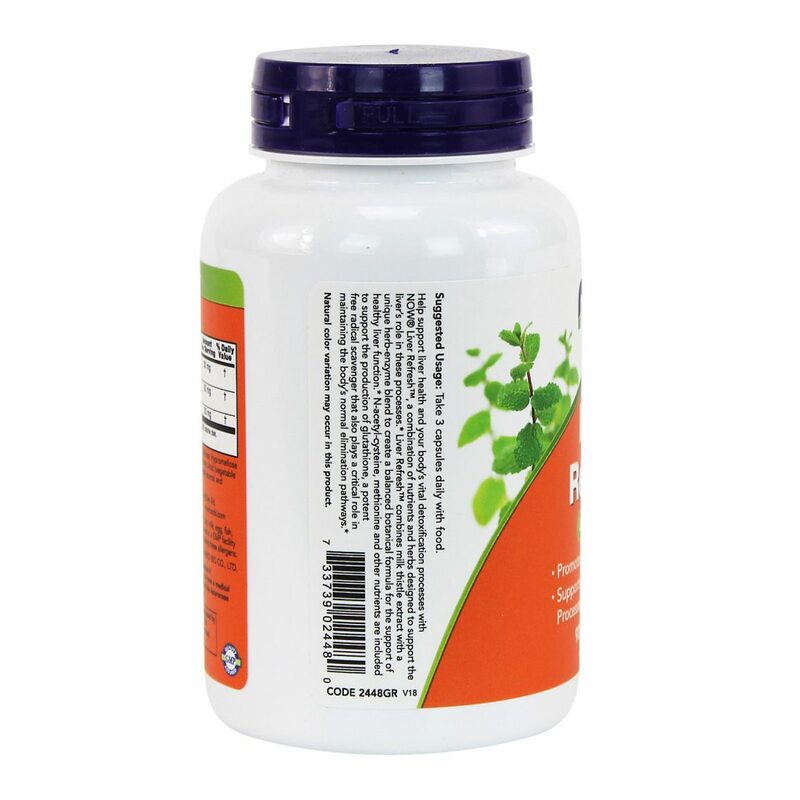 It has Milk Thistle Extract and other herbs (Schisandra and Scute) that are known to favor healthy liver function. In addition, this product includes N-Acetyl Cysteine and Methionine, two amino acids known to be essential for the production of glutathione, which is a potent free radical scavenger that also plays a critical role in maintaining the body s normal elimination pathways. 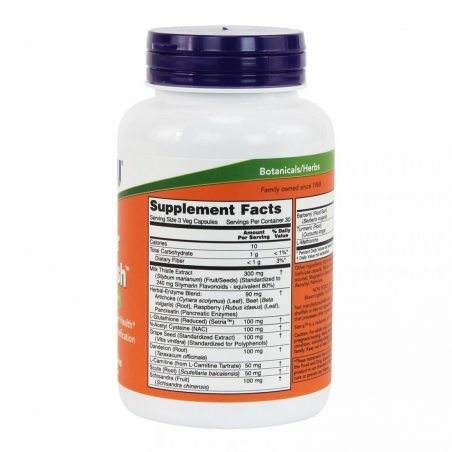 Supplement Facts Serving Size: 3 Capsules Amount Per Serving % Daily Value Calories 10 Total Carbohydrate 1 g <1%* Dietary Fiber <1 g 3%* Vitamin C (from Ascorbyl Palmitate) 12 mg 20% Milk Thistle (Standardized Extract) (Seeds) (Silybum marianum) (min. 80% Silymarin) 300 mg † Proprietary Herbal-Nutrient Blend: Artichoke (Cynara scolymus) (Leaf), Beet (Beta vulgaris) (Leaf), Black Radish (Raphanus sativus) (Root), Bladderwrack (Fucus versiculosus) (Whole Plant), Raspberry (Rubus idaeus) (Leaf), Phosphatidyl Choline (soy), Pancreatin (Pancreatic Enzymes), Blue Flag (Iris versicolor) (Root), Cleavers (Galium aparine) (Ariel Parts) 170 mg † L-Glutathione (Free-Form) (Reduced) 100 mg † N-Acetyl Cysteine (NAC) 100 mg † Bupleurum (4:1 Concentrate) (Root) (Bupleurum chinense) 100 mg † Grape Seed (Standardized Extract) (Vitis vinidera) (min. 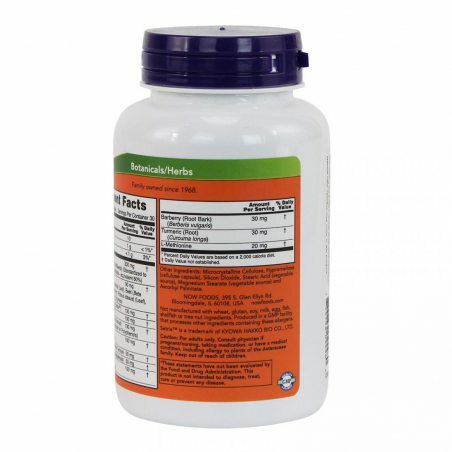 80% Polyphenols) 100 mg † Dandelion (4:1 Concentrate) (Root) (Taraxacum officinale) 100 mg † L-Carnitine Base 50 mg † Scute (root) (Sculellariae baicalensis) 50 mg † Schisandra (Fruit) (Schisandra chinensis) 100 mg † Barberry (Root Bark) (Berberis vulgaris) 30 mg † Turmeric (Root) (Curcuma longa) 30 mg † L-Methionine 20 mg † *Daily Value not established. †Percent Daily Values are based on 2,000 calorie diet.